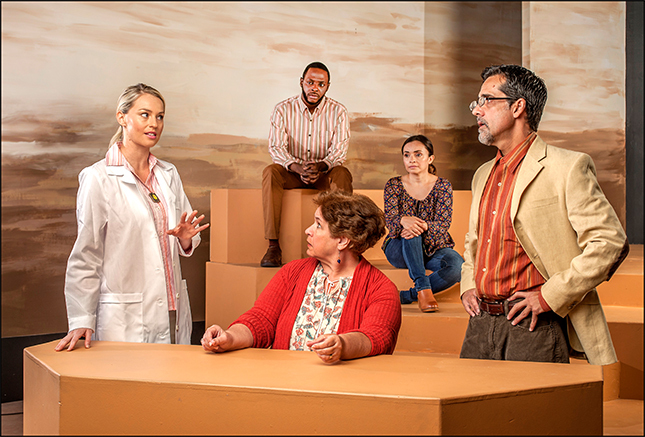 For 15 years, Deborah Zoe Laufer has been writing plays on such diverse subjects as family dysfunction, the end of the world and medical ethics. 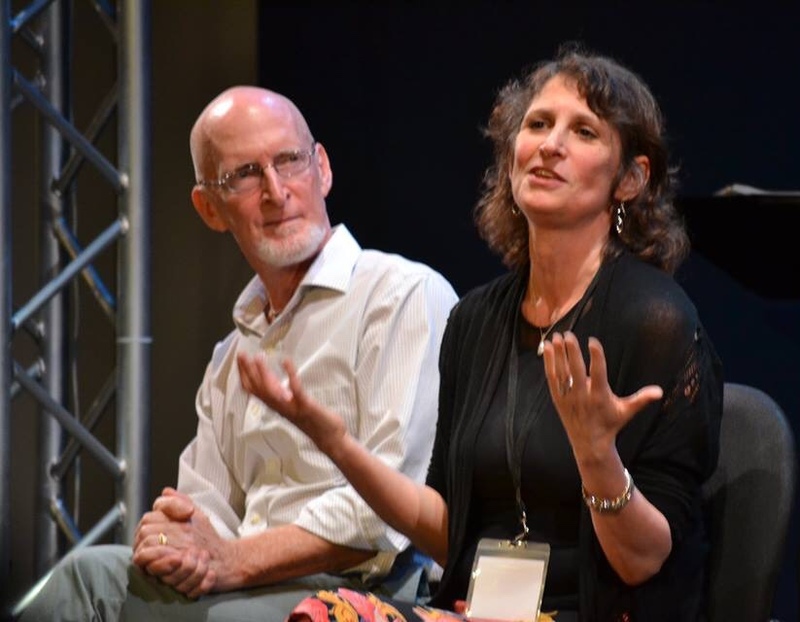 More often than not, her scripts stem from something she heard on National Public Radio. Certainly that is the case with Be Here Now, Laufer’s latest thought-provoking comedy, opening at Florida Atlantic University’s Theatre Lab this Friday, in an East Coast premiere under her direction. As she recalls, “I heard a podcast about this woman talking about how she’d had these headaches and these seizures and they were giving her these really ecstatic religious experiences. She had this new kind of joy in her life that she’d never had before. And then she found out that it was a brain tumor and she had to have it removed. To dramatize the condition, Laufer invented a character named Bari, a loveless atheist who used to teach a college course on nihilism, the philosophy that nothing in life has meaning. And then Bari meets Mike, a guy who rummages through trash for discarded objects. Far from being a cheapskate scavenger, he uses these objects to construct houses, a pursuit that has earned him a MacArthur Foundation genius grant. Yes, that far-fetched description of designated “genius” is also based in reality. Bari finds herself falling in love with Mike, or maybe that is merely the influence of the Geschwind Syndrome. And what is love anyway, but a series of internal impulses? Be Here Now was commissioned by Cincinnati Playhouse in the Park. But for its first developmental reading, Laufer sent it to Lou Tyrrell at FAU. 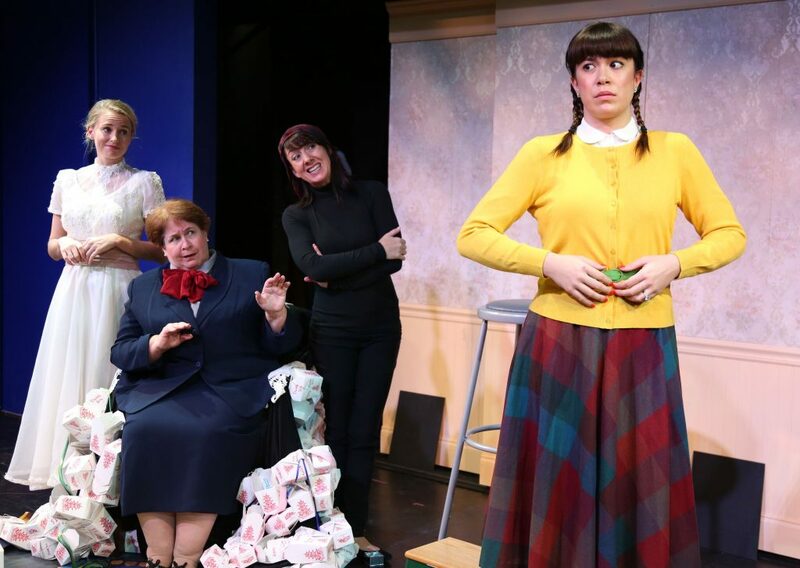 “All of her plays embody an incredible humanity,” says Tyrrell, who introduced her to audiences with The Last Schwartz in 2002 and most recently produced her Three Sisters of Weehawken. “It begins with a character’s perspective of the world, with vulnerabilities and eccentricities that are so recognizable, so real and tragic yet so funny. Tyrrell gave Laufer her first directing job on a hunch that she could do it. “The hunch was there but also you can’t write what she does, the nuance of character, that very unique perspective without having great instincts for getting it on a stage,” he explains. After FAU, Be Here Now already has another production lined up, at Georgia’s Aurora Theatre. “I told the artistic director there that the comedy comes out of a deep sadness. I think the play comes from a real terror of mortality, a real understanding that we have a short time here and we should make the most of it. And maybe we should look twice at people we think are beneath us, not worthy of our time. By now, Laufer estimates that she has had about 100 productions of her plays around the country, as well as in Germany, Russia, Canada and Australia. BE HERE NOW, FAU Theatre Lab, 777 Glades Road, Parliament Hall, Florida Atlantic University campus, Boca Raton. April 6-22. $35. 561-297-6124.